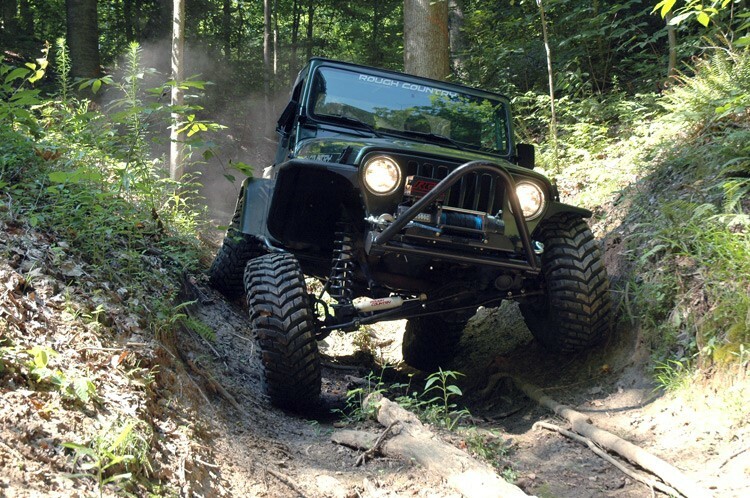 Venture far beyond the limits of a stock Wrangler with Rough Country's all-inclusive 4-inch X-Series Lift for Jeep TJ. 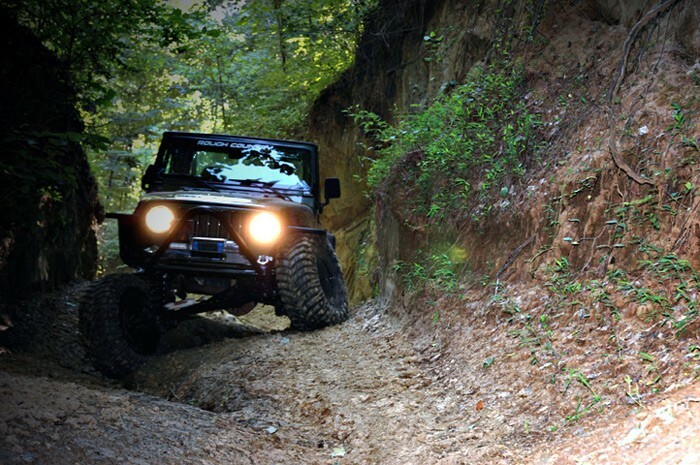 Level the front of your vehicle with the rear while gaining enough increased ground clearance to run up to 33-inch tires. 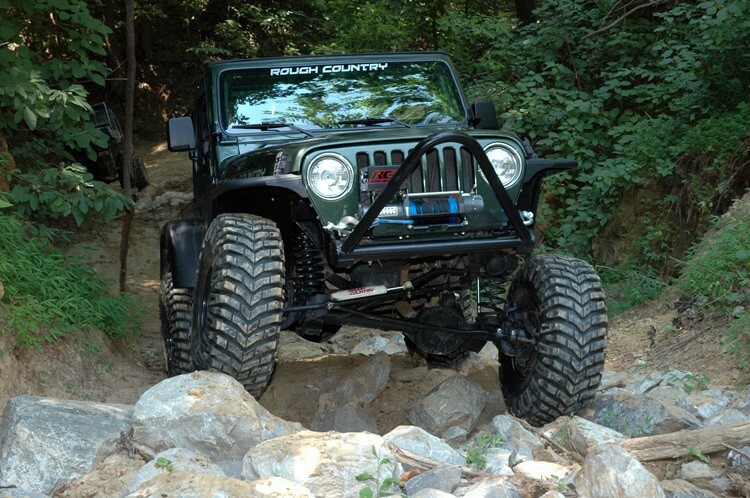 Rough Country's X-Series line represents the best-in-class equipment for off-road action, including X-Flex Adjustable Control Arms, Clevite Rubber Bushings, Sway-bar quick disconnects, and our N3 shocks for optimum on and off-road performance. 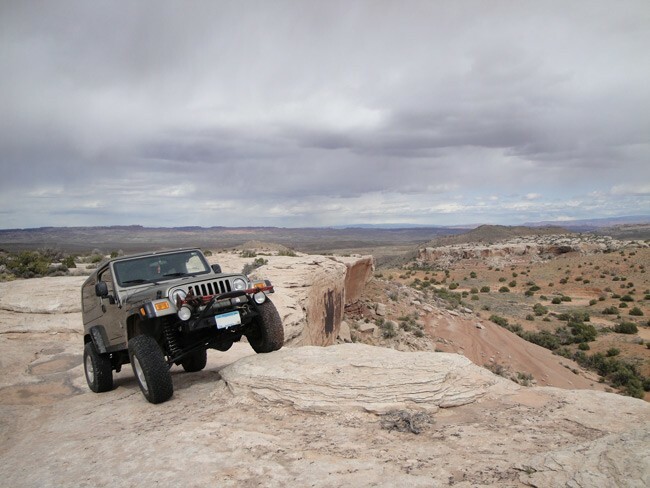 Coil springs are progressive rate for enhanced ride quality. 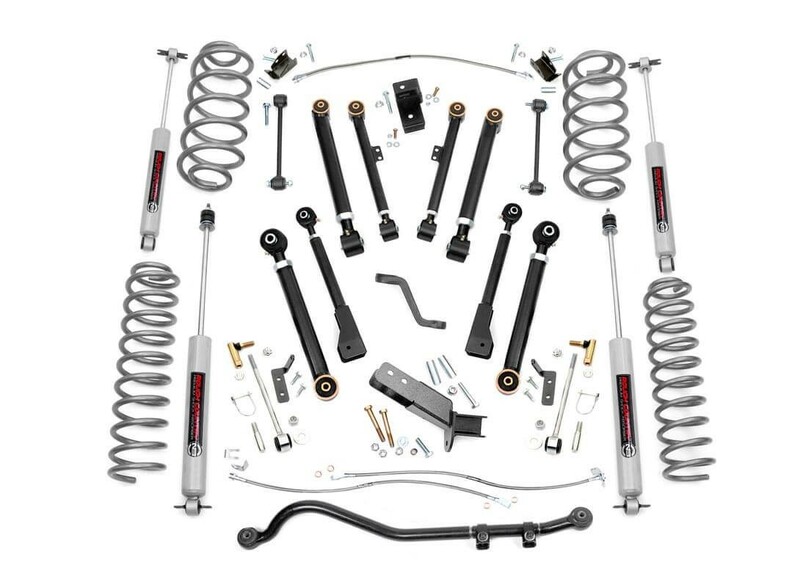 Transfer case drop kit or Slip Yoke Eliminator with CV Drive Shaft is recommended to avoid driveline vibration. View CV Drive Shafts here. Rubicon models do not need a SYE kit or transfer case drop but a CV Drive Shaft is still recommended.